Reputation is the foundation to continued success in the global relocation industry. Signature Source respects candidates in a manner that provides for the utmost in confidentiality and we protect personal information in our proprietary database. Unlike job boards, company websites and online association postings, when our Global Mobility candidates apply to a Signature Source job posting, their information is uploaded into our database and is not shared or accessed by anyone outside the Signature Source organization. 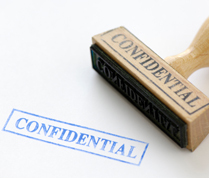 Our process and “who” we work for is designed to ensure that confidentiality is a critical component of your search. In doing so, we manage the job search process with the highest level of respect and confidentiality for you! See what our Candidates and Clients have to say about us. Gustavo Higuera, Regional Vice-President Latin America, Weichert Relocation Resources Inc.